Websites aren’t one-off jobs. Well, technically they are, but they shouldn’t be. More often than not, clients make the mistake of assuming that the job is done once their website is up and running. In reality, websites – particularly those that make use of a CMS – need careful monitoring to ensure their continued success and longevity. The following blog post will discuss website maintenance plans – why you, the developer, need them and how to set them up. Once you have completed a website, deployed it, received payment for your services and have completed client training, your job is technically complete. However, as the world of web development is in a permanent state of flux, any website you create will need inspections, support, and upgrades on an ongoing basis. Site updates and backups alone are incredibly important aspects of having a website, and more often than not, your client will not be able to execute these by themselves. These services take time and command a certain level of expertise – your expertise. Packaging and offering these services as a maintenance plan is a great way to ensure that your client’s websites remain secure and up-to-date and that you get financially renumerated for time spent protecting their asset. Since you – the developer – are already familiar with the client, the industry, the business offering and the inner workings of the website itself, you could easily take care of these plans yourself, but in the event that this doesn’t interest you, you could pass these ongoing services to another company (I’ve listed a few website maintenance services providers at the end of this post) and focus solely on building websites. Increase your income. One of the most difficult aspects of freelancing/being an entrepreneur is having to work around and budget contract-based payments. Setting up and selling maintenance plans as retainers will help you grow a steady and stable monthly income. Quick and relatively easy work. Generally speaking, provided nothing out of the ordinary occurs, periodic site inspections, updates, and backups are simple, somewhat autopilot, tasks that can be done with very little hassle. All you really need is the website’s login details, server access and time – all of which you’ll have, and the latter which you’ll be paid for. Building a relationship. Maintenance plans are great for keeping you and your web development business top-of-mind. Depending on how many times you’d like to make contact with your client within a set period, you’re pretty much guaranteeing that your business name and branding will find its way into their inbox, at least once per month. Not only is this a great way to keep building a lasting relationship with a client, but it also increases the potential for them to share and recommend your services, and too, for you to upsell any additional service offerings that you feel could benefit them. Offer peace of mind. In a sense, selling a maintenance plan is actually selling reliability and availability, which in turn, will translate to trust in the mind of your client. By placing them on a maintenance plan, you’ll be able to assure your client that their website/s is safe and that any fault or error will be reported and taken care of. You can assure your client that they can carry on running their business without a care in the world knowing that their web property is in capable hands. Offer support. Once their website is complete, web clients may contact you with questions, requests, suggestions, possible emergencies, and sometimes, asking for advice. In some cases, responding to these queries may include research or the formulation of strategic recommendations, and as their service provider, you’ll more than likely feel obligated to do so. However, these interactions are hard to track and may result in hours of lost time that has not been billed or accounted for. To ensure that your time is valued, a maintenance plan can allocate a set amount of hours per month for support or even strategic consulting. 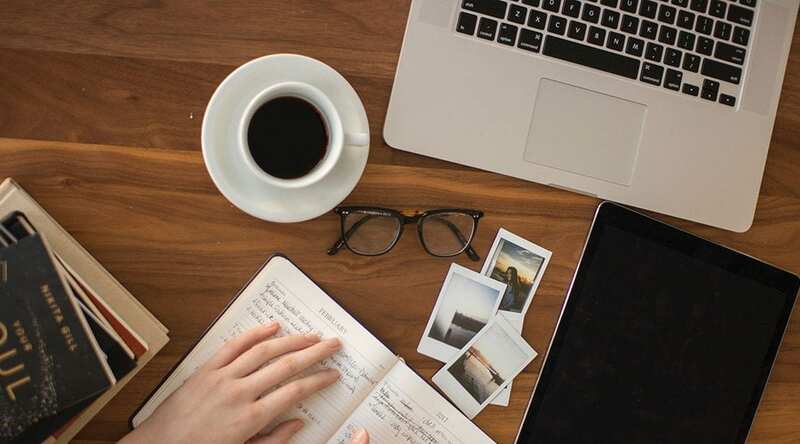 This way, your service offerings and time are respected and valued, and too, you’d be able to schedule new, current and old client work better so that you can maximize your working hours. What Should You Include in a Website Maintenance Plan? Typically, maintenance plans are tiered, allowing developers or site managers to cater to different levels of needs requirements. Below are a number of services to include in various tiers of maintenance plans, however, use these as a rough guide and include other services based on your experience. 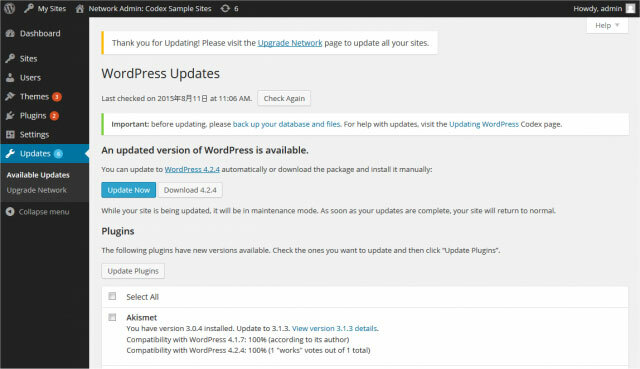 Updates to WordPress core: WordPress core upgrades release periodically, and even through WP core will eventually update itself on site within time, it’s a good idea to update these core files manually and then check the front end to ensure that the site is still functioning in order. Theme and plugin updates: To ensure compatibility between all site software, themes and plugins should be upgraded when new versions become available. Backups: A website maintenance plan should include some sort of backup plan. These backups (of site files and the database/s) should be executed as often as possible. Automatic backups can be set up using a number of free, freemium or premium plugins, with a cloud storage option used for storing site files. Automatic backups can be set up using UpDraftPlus (free version available), BackupBuddy or VaultPress. Manual backups: As an additional security measure, it is recommended to execute a manual back up of the website’s files and database/s relatively regularly. If the event that a client publishes content on a frequent basis, the term should be shorter. To run manual backups, export the SQL database from phpMyAdmin (accessed via the web hosting control panel) and create an off-site copy of the site files using an FTP client such as Cyberduck or FileZilla. Security: Preventing website hacking and attacks is of utmost importance, thus adding site security measures and reporting to a maintenance plan is a great practice. iThemes Security used in conjunction with Wordfence and Sucuri make a great team for site security. Support: Depending on the client, you may find yourself receiving more emails than you’d like. Adding a dedicated time for support into a maintenance plan will allow you to tend to a client’s support queries and get paid for your time. Site Health Checks: If you’re interested in working a bit closer to your client, consider offering general site health check, including scanning for 404-page errors or broken links, and suggesting fixes. These can be assessed and reported by using Google Search Console. Content management: If your clients are fond of contacting you to request minor changes to their content, you could add a few hours per month into a maintenance plan to address their needs. These content requests can range from either updating rates or prices, adding new staff members, entering workshop/event/promotion details or even adding a new blog post or two per month. If this is a service you’d be happy to offer, simply add a fee into a maintenance plan for x amount of hours per month. Consulting: If you’re not just interested in building websites, but are invested in growing businesses through online marketing, you can include a set amount of hours dedicated to consulting. Here, you can set aside time to chat with your clients about ways in which you can grow their online presence together. These consulting check-ins can be weekly or monthly, they could be face-to-face, over the phone, or via Skype. Here, you could discuss plenty of ways in which you could assist them in reaching their business goals, refining their websites user journey, planning product launches or campaigns and much more. Data tracking and reporting: If you’re a fan of stats and graphs, you can easily add reporting to your maintenance plans. From email to social to site traffic tracking tools (Google Analytics and Search Console), you could easily set up automatic reports for your clients, or, you could add a personal touch – possibly with some strategic recommendations based on trends and patterns in the correlated data – for an extra fee. If you’re not interested in selling back up and maintenance plans for your web business, consider researching and referring one of the following companies that specialize in such services. (These are also great sources for checking out pricing models to help you set your own). Do you already have a maintenance plan set up for your clients? Do you have any insights to share after running and selling maintenance plans? We hope you’ve enjoyed reading this post, and that it gave you a few points to consider. If you have any questions or comments, please share them below – we love receiving your feedback! Great advice, I offer this service for all the clients I have built sites for especially if they host with me. It gives me piece of mind more than them. I ensure all sites on my server are running the latest versions of plugins and wp which helps ensure security and gives me piece of mind. I have used manage wp to do updates but prefer to login to each site as often as possible that way I can see there are no issues and check files in the media library. It usually takes 10-20minutes a fortnight per site (as long as there are no plugin conflicts). Thanks for all the extra info. Very insightful and thank you very much for such great ideas. Thanks for the article, it is great for a project that I have parked to offer the support service to wordpress: soswp.co that I have not finished yet. Thanks very much for your insights. I integrated this into my mainteance packages. I know this will vary greatly, but is there a general range developers charge clients for maintenance plans? I’ve seen plans range from $10/month to over $200/month for the same services and same website size (files, number of pages, etc.). I just don’t want to “rip” future clients off, but at the same time, get fairly compensated for the time involved. Hi Lisa-Robyn, thanks for your article! – Do you recommend to use all the three plugins in parallel? – Will they not be conflicting with each other then? – Wouldn’t any single one from this trio be enough? I’m not the world’s leading expert or anything, but I’d stick with just one of those choices. One thing I like about iThemes is that it allows for a different login URL which completely eliminated brute force password attacks for my sites. Or, WordFence with a separate plugin to do the login URL switch. Great article! Totally love your insights and ideas. Would love to try these for my work and other works. Thanks for such helpful and interesting article! I would love to know what kind of and how you go about reporting what you have maintained per say….